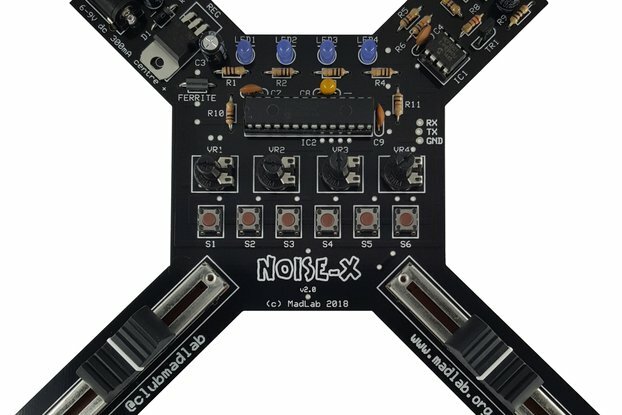 Visit http://eepurl.com/b8JL4b to save 15% on breakout boards! Contact me for shipping via FedEx, UPS, DHL, etc. 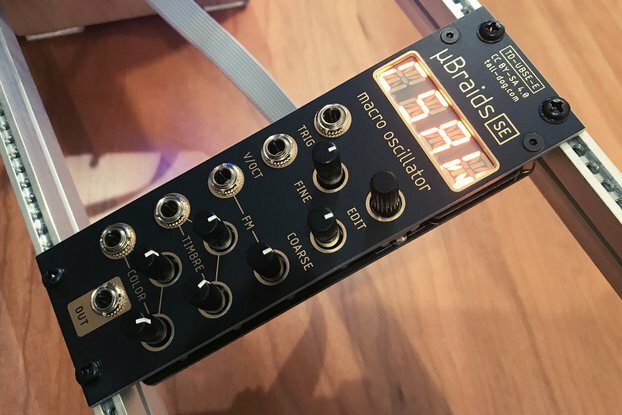 µBraids SE (aka uBraids SE or microBraids SE) is a voltage-controlled digital oscillator/sound source in 8HP with a wide range of creative and useful sound generation algorithms (aka models). 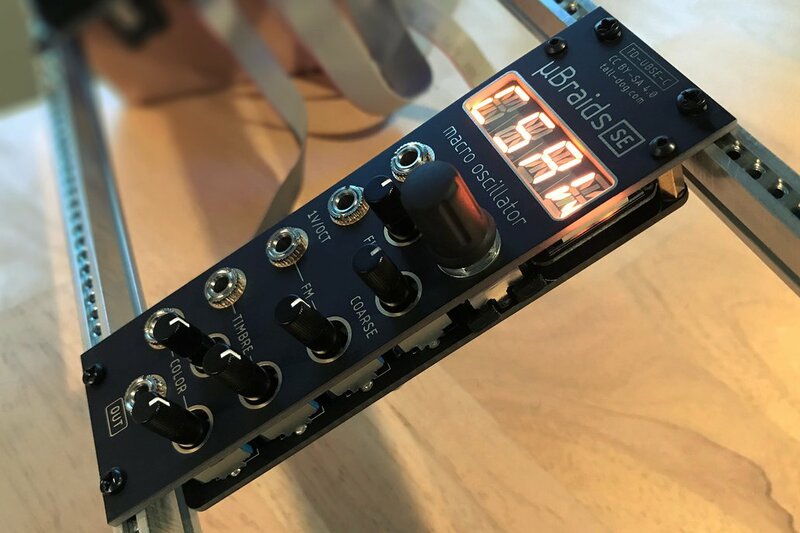 This redesigned µBraids SE (Special Edition) is a new revision of µBraids that updates and simplifies the component layout and has a new panel design. 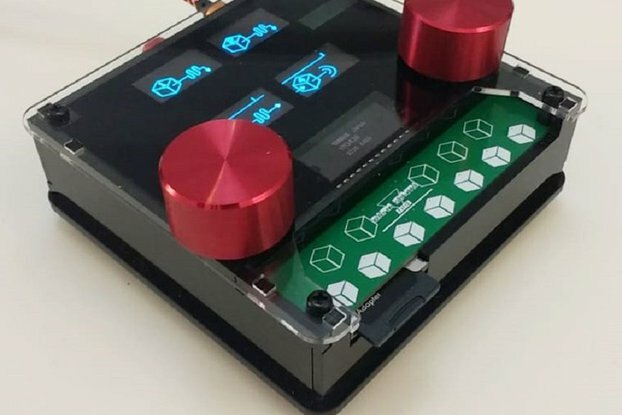 It utilizes a custom miniature segmented LED module, eliminating the need for a 2nd microprocessor and its supporting circuitry. 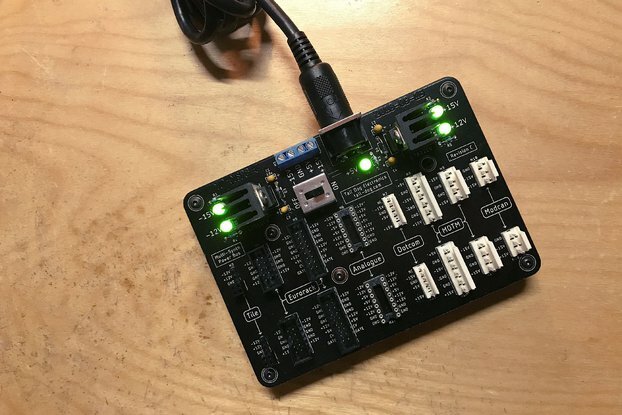 µBraids SE remains fully compatible with future upstream Braids firmware upgrades and any other alternate firmwares that are compliant with the standard Braids design. 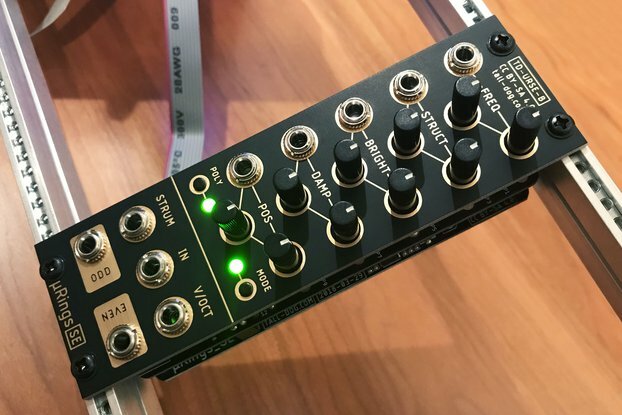 µBraids SE includes a standard 16-pin to 10-pin Eurorack power cable and two sets of mounting screws for racks/enclosures with either M2.5 or M3 threads. This product comes with a one year warranty which covers manufacturing defects. It does not cover damage or malfunction caused by incorrect use. Please see the manual for the full text of the warranty. Tall Dog Electronics is located in the Pioneer Valley region of Western Massachusetts. 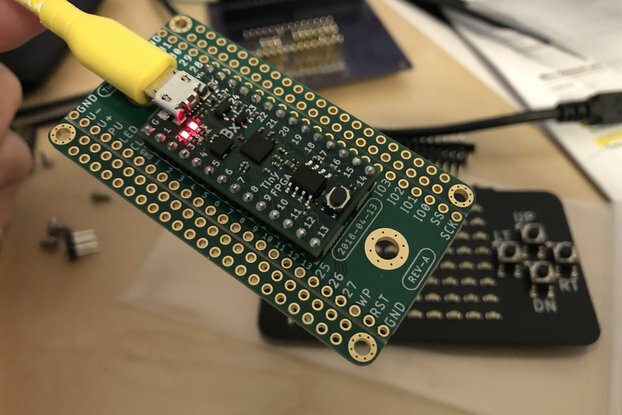 Tall Dog has primarily focused on producing a variety of breakout boards for the Teensy microprocessor development platform and conducts the majority of its business via the Tindie marketplace. µBraids SE represents their most ambitious project to date. Michael Gilbert is a composer, recording artist, and teacher of electronic music, for over 40 years. His music is a creative mix of electronic, jazz, world, and contemporary classical idioms, and is available on 9 albums of original work as Michael William Gilbert. The music has featured Adam Holzman, Mark Walker, Peter Kaukonen, David Moss, and Tony Vacca. He has also designed and built electronic music equipment, using it in his own studio and making it available to other musicians. Daniel Gilbert is a designer and engineer with a background in film, photography, and animation. After graduating from Hampshire College he spent the next several years working in the Los Angeles film industry. He now resides in Easthampton, Massachusetts. Gorgeous Piece Of Gear! Delivered without fuss from USA to UK! Customs Charges Sucked Balls! But that’s Queen Lizzys Fault! All Good Otherwise!